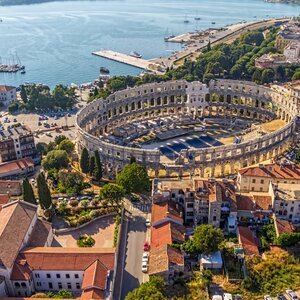 Start your journey on land, see the Pula Arena (Roman Coliseum), Plitvice Lakes National Park, and more. 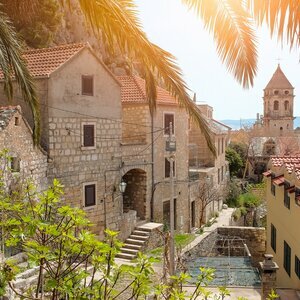 Hop on a wine tasting tour in Plavac Mali, and see one of the prettiest views from a sea to sky cable car in Dubrovnik, one of Europe's most breathtaking cities. 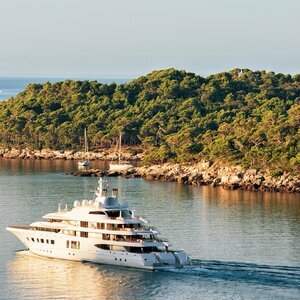 We figured you may need to relax after the 7 walking tours on this trip, so we scheduled you a 7-day private yacht cruise on the Adriatic Sea! 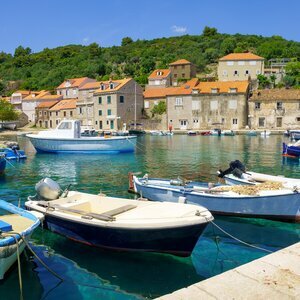 When it comes to the cataclysmic beauty of Croatia, there is NO better way to experience it, than on our 2019 President's Collection Tour & Cruise! Although no previous experience is required, being physically capable and active is important. You must be able to walk longer distances, which may be over uneven ground and steps, climb in and out of zodiacs or small boats without assistance; walk on docks which may have steep ramps at low tide. This tour is not appropriate for people with mobility restrictions. 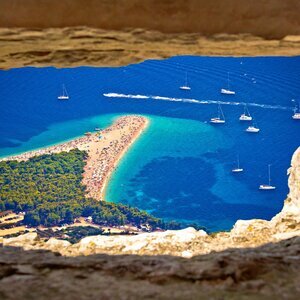 It is a funny phenomenon that most people may not immediately think about Croatia when making plans to travel to the Adriatic Sea. 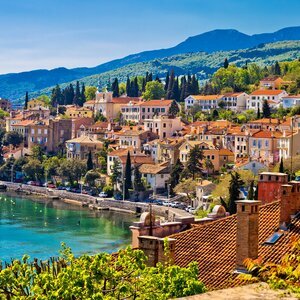 Many travellers go to Europe to experience something more than simply sapphire waters and balmy beaches. Usually the goal is experience beautiful architecture, the oldest cities in the world, and some of the best food on planet earth. We thought... "surely there is somewhere in Europe that has all that, PLUS the amazing aquatic experience that a vacation to the Sun includes." And we were right! 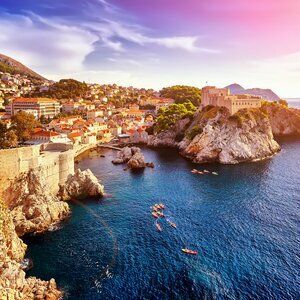 Croatia is that place! Start your journey on land, where you'll see the Pula Arena (Roman Coliseum), Plitvice Lakes National Park, and more. 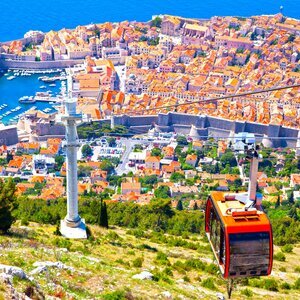 Hop on some wine tasting tours, and see one of the prettiest views from a sea to sky cable car in Dubrovnik, one of Europe's most breathtaking cities. 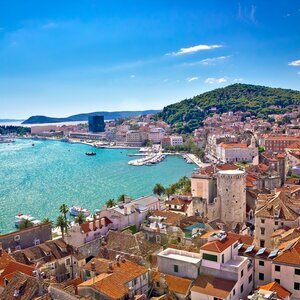 We figured you may need to relax after the 7 walking tours on this trip, so we scheduled you a 7-day private yacht cruise on the Adriatic Sea! 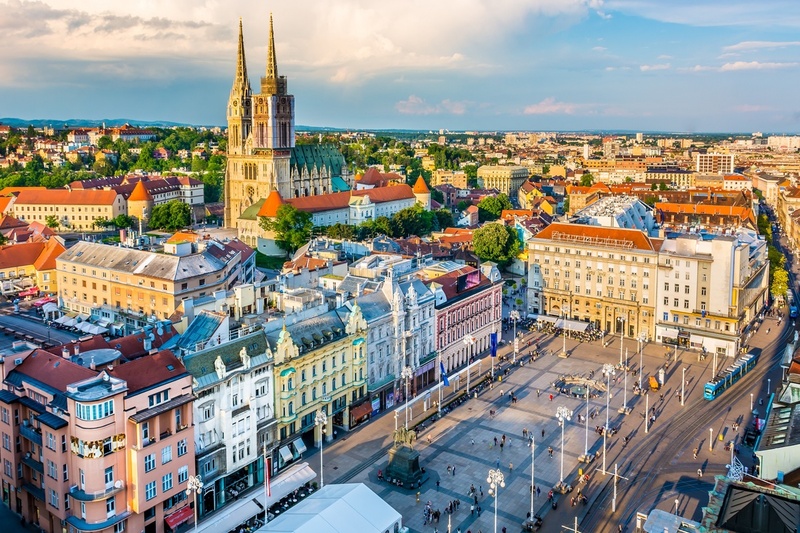 When it comes to the cataclysmic beauty of Croatia, there is NO better way to experience it, than on our 2019 President's Collection Tour & Cruise! 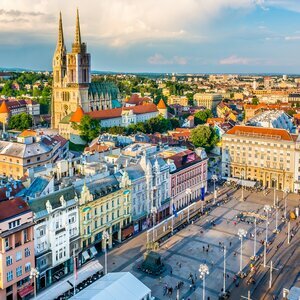 Overnight flights to Zagreb, Croatia. 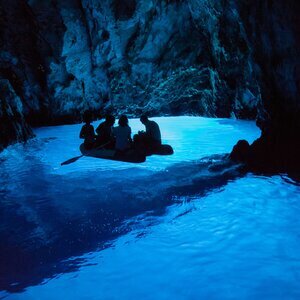 Early in the morning we cruise towards the little island of Biševo and visit the Blue cave, a magnificent natural phenomenon. This portion of the trip is weather dependent. Start your morning cruising to the tiny island of Š?edro near the island of Hvar where we have time to relax and refresh in the clean, crystal blue sea. 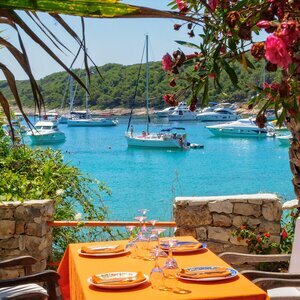 Have lunch on board and depart for Hvar. Transfer to airport for morning departures home. Don't worry, we take care of most of the food on this tour so you can focus on all the fun. 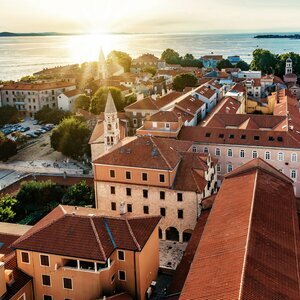 From Roman and Venetian ruins to promenades and beaches, there is no shortage of culture as we wander through these cities. Pula Arena is one of the six largest Roman amphitheaters in the world. 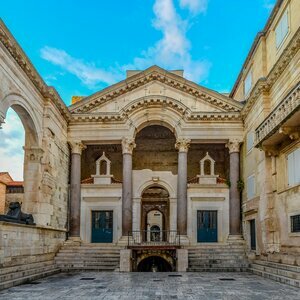 This magnificent structure is the best preserved ancient monument in Croatia. 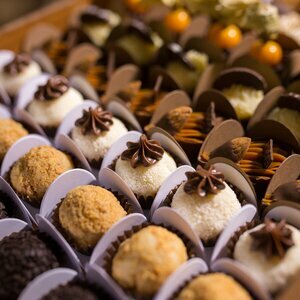 Taste some of the world’s most delectable truffles. Plitvice Lakes National Park is home to enchanting waterfalls, beautiful lakes, and mesmerizing trails. East of the idyllic port city of Šibenik sits the charming Bibich Winery. 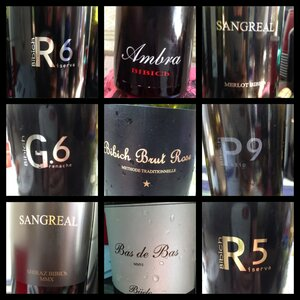 Spend the afternoon tasting some of the best wines of Croatia paired with equally note worthy tapas. 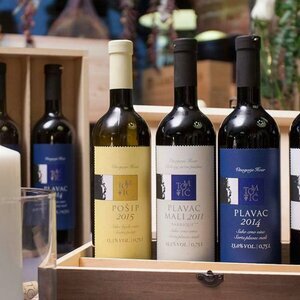 Plavac Mali is the primary red wine grape grown along the Dalmatian coast. It is also one of the best known and respected wine varieties in Croatia. Enjoy breath taking views of the old town and Elaphiti Islands. 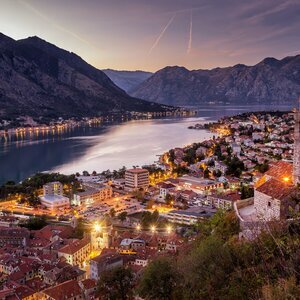 Kotor is a fortified town characterized by winding streets and squares, medieval architecture, and a fascinating seafaring history. 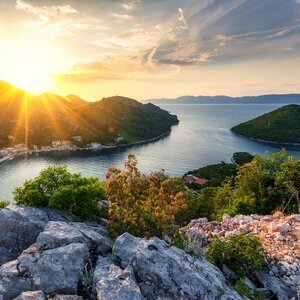 Relax and take in breath taking views upon a luxury private yacht as we sail the Adriatic coast, visiting quaint towns and mesmerizing islands. The best way to experience different cultures is through food. 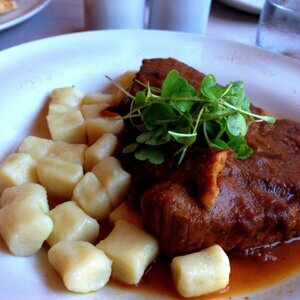 Prepare your taste buds for a flavorful authentic meal. Prices include airfare from Saskatoon and Regina. Airfare from Edmonton, Calgary, Vancouver and Victoria deduct $150 per person. Airfare from Winnipeg deduct $500 per person. No USD pricing at this time.